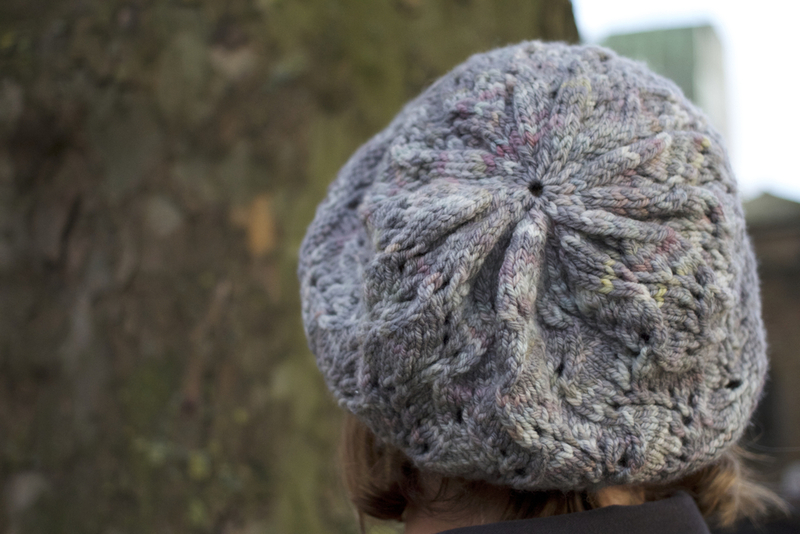 This hat was originally designed in 2013 for the Storied Yarns “A Yarn and A Tale” club, and is inspired by the young adult novel “Delirium” by Lauren Oliver. 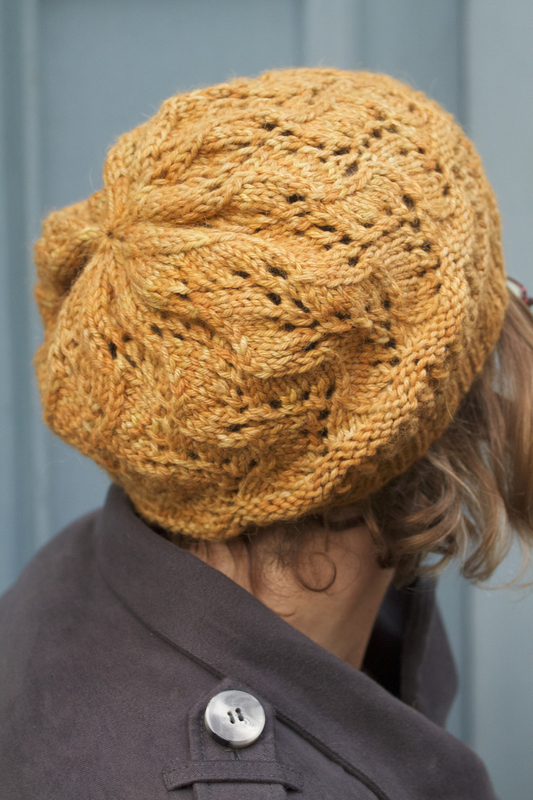 A cabled ribbing band transitions into a lace body of this slouchy hat, worked in aran or worsted weight yarn. This challenging knit is perfect for any occasion. Pattern is charted - no written stitch directions are included. 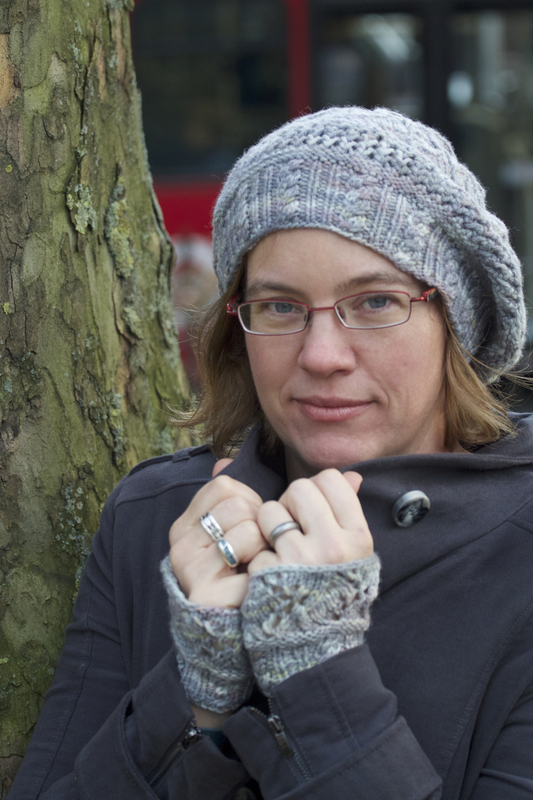 Skills needed: Knitting in the round, purling, increase, decreases, cables and lace knitting. Please note that the stitch pattern used for the body of the hat has inconsistent stitch counts that may be confusing to inexperienced lace knitters. Sizes: Sized for adult small (medium, large), to fit head circumference of up to 18 (20, 22) in/46 (51, 56) cm. Actual hat measurements are 16.5 (18, 19.75) in/42 (45.75, 50) cm around at ribbing and 23 (24.5, 26.5) in/58 (62.25, 67) cm around for the main body of the hat. Yarns: Requires approximately 140 (160, 180) yds/128 (146, 165) m aran or worsted weight yarn. Shown in Kettle Yarn Co LOMOND Aran (60% alpaca/30% merino/10% bamboo) in "Ginger", 1 skein.